Bridges for Brain Injury is committed to, and takes pride in, offering high‑quality services with the highest degree of integrity. To preserve and enhance our well-deserved reputation, everyone associated with Bridges must share a commitment not only to our clients and our work but also to compliance with the numerous laws, regulations, and policies that govern our conduct. 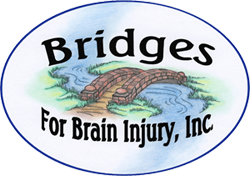 Bridges For Brain Injury's Corporate Compliance Program ensures that we follow all appropriate federal, state and local guidelines, as well as the highest ethical standards. The program ensures adherence to Bridges' policies, including conflict of interest standards and a system to encourage reporting of violations of law and/or policies and procedures. Reports of fraud, waste, or abuse may be made confidentially and/or anonymously to the Corporate Compliance Officer through the Bridges confidential hotline at (585) 396.0070 X323. Concerns may also be reported directly to the Corporate Compliance Officer, Cathy Iacoviello, at 585.396.0070 X 317, or, ciacoviello@bridgesforbraininjury.org.